AMMAN, 16th April, 2019 (WAM) -- Ayman Safadi, Minister of Foreign Affairs and Expatriates of Jordan, on Monday met with a number of members of the US Congress, including members of the Foreign Affairs Committee Congressmen Adam Kinzinger and Vicente Gonzalez, and member of the US House Committee on Appropriations, Tom Graves, who are visiting the Kingdom. 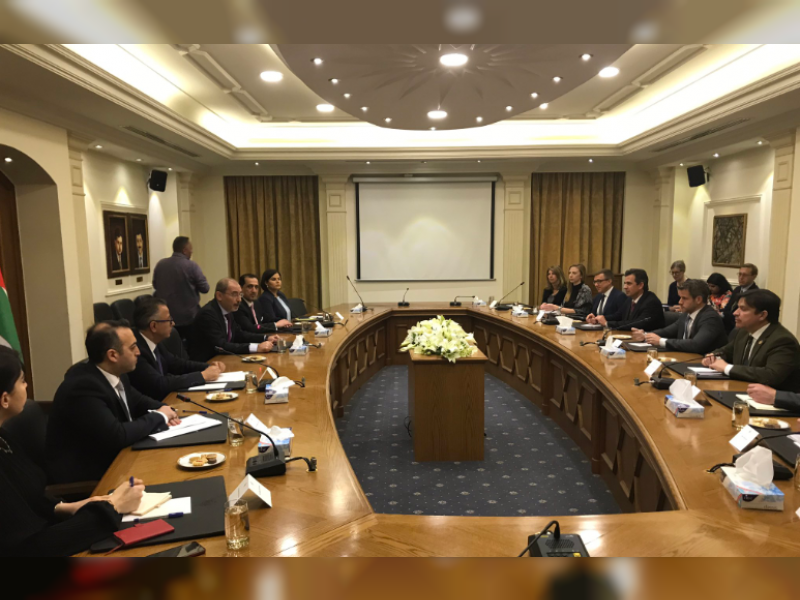 According to Jordanian News Agency, Petra, Safadi briefed the delegation on the regional developments, especially those related to the Palestinian-Israeli conflict, the Syrian crisis and the war on terrorism. He also underlined Jordan's firm position on the need to intensify efforts to achieve a comprehensive and lasting peace in the region and to resolve the Palestinian-Israeli conflict. The two sides also discussed international efforts to combat terrorism within a comprehensive approach, Petra reported.